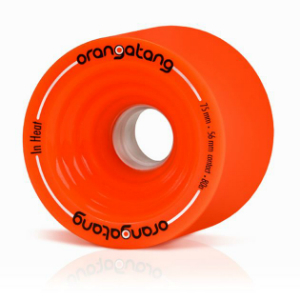 Orangatang wheels were instrumental in assisting in development of the art of sliding and freeriding. 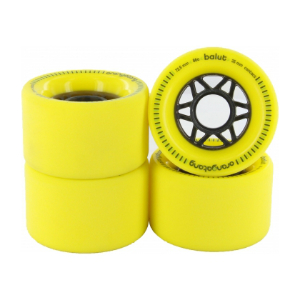 From stone ground wheels like the Stimulus and Durians for sliding to downhill wheels like 4 Presidents and In Heat used by Alex Tongue and Patrick Switzer. 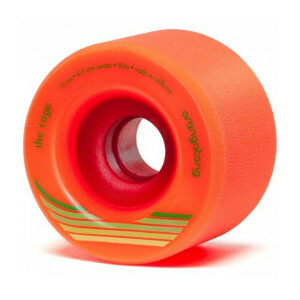 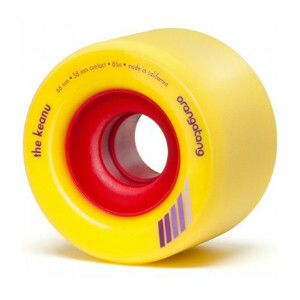 75mm tall with a Contact patch of 56mm and a urethane hardness of 80a and a 75mm Freeride wheel. 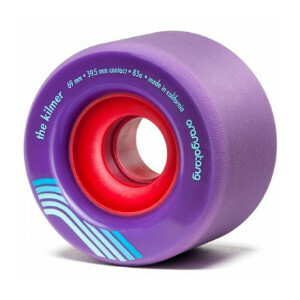 The In Heat features an offset design, with hard sharp edges for grip, thick lips for maintaining speed, and rippled inner walls for energy return. 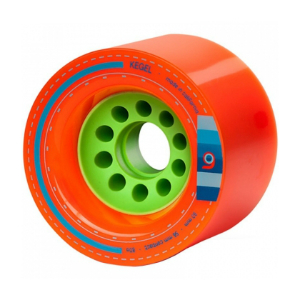 65mm tall with a Contact patch (width of wheel in contact with ground) of 37mm. 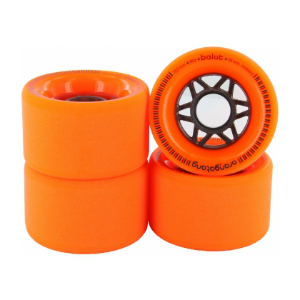 These offset wheels are intended for grippy, hard carving and consistent, controlled slides. 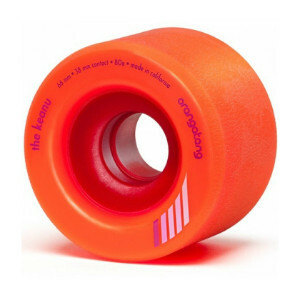 Double rounded lips, and a stone ground/pre-broken in surface for smooth slides out of the box. 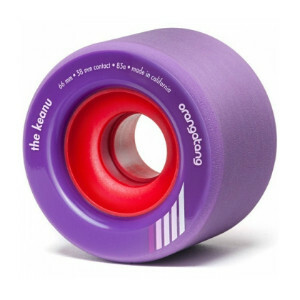 Available in 83a (purple) with more duros to come. 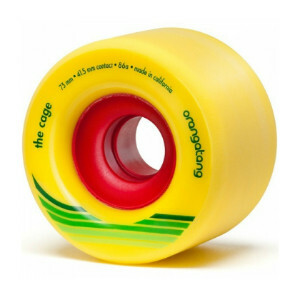 The Kegel are high-speed wheels with a large 80mm diameter assisting in generating high roll speeds. 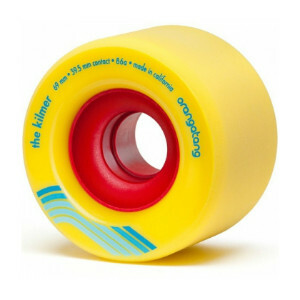 The moderate width of 56 mm allows for a versatile balance of traction and slide response. 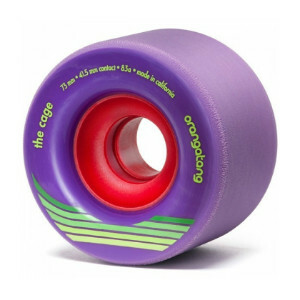 The cantilevered outer lip with a straight profile is pliable enough to hug the road for grip while also ensuring consistent performance as the wheel wears. 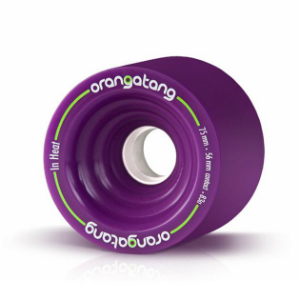 The shorter inner lip features a subtle inward bevel for race-worthy traction and predictable drifts. 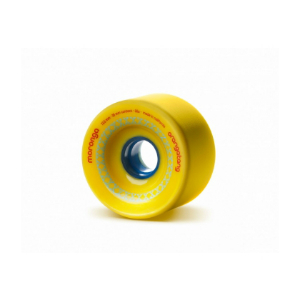 Fully-exposed 46mm core with a deep cross section helps reduce weight whilst providing excellent acceleration, momentum and crisp slides. 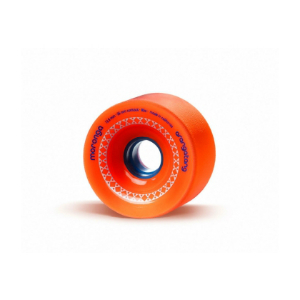 The core uses the same high-strength, high-stiffness, and heat-resistant material developed for the entire Orangatang range.